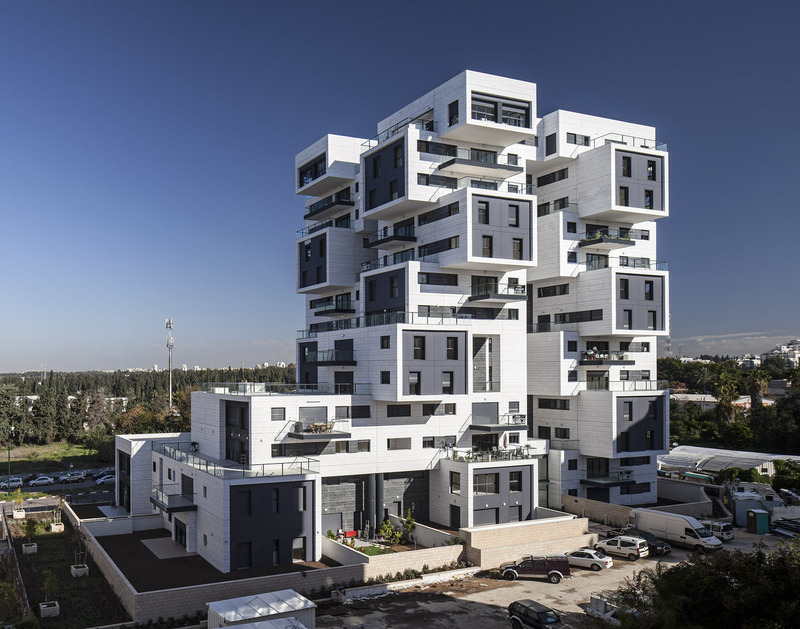 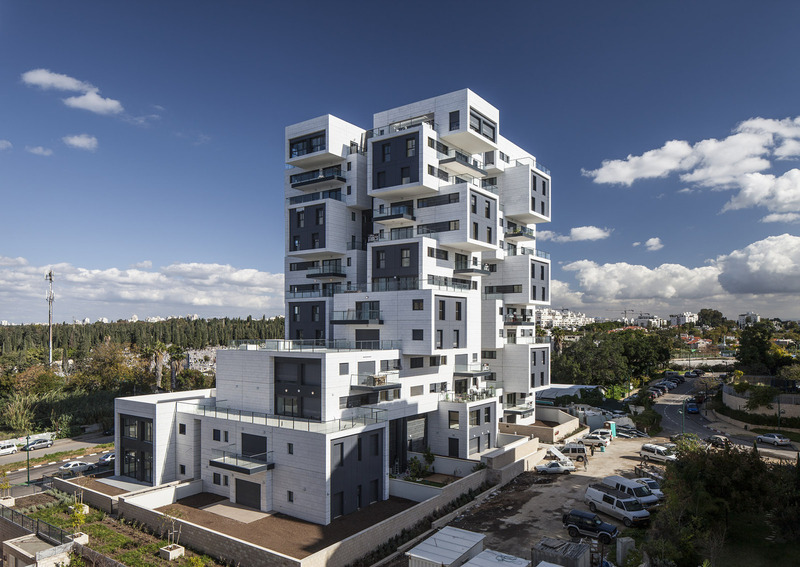 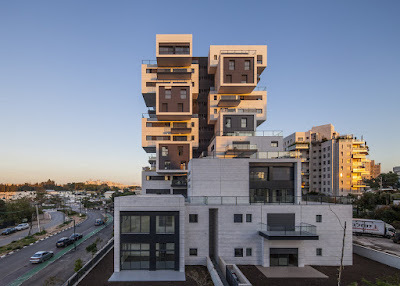 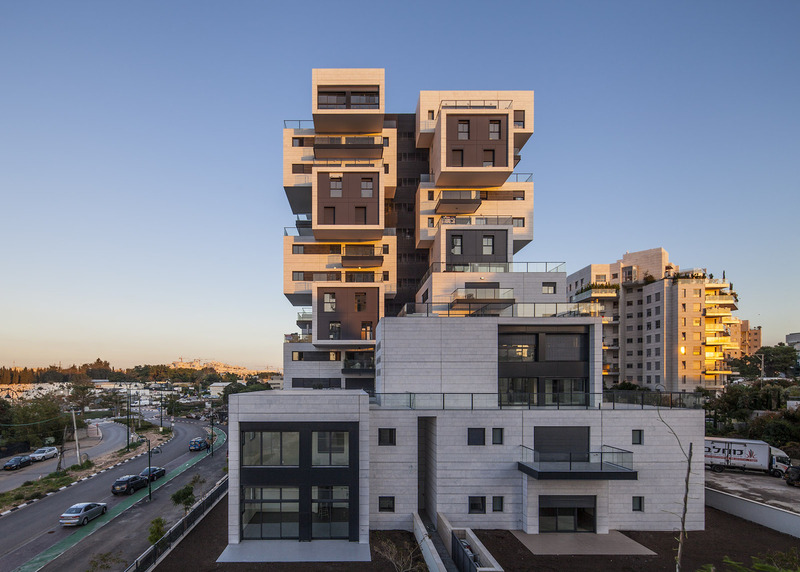 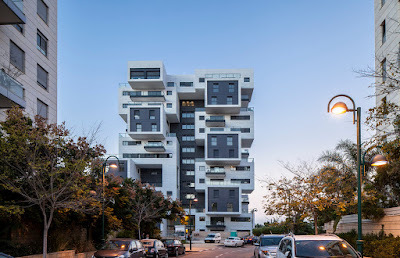 A thirteen-story building at 22 Haganim Street in Ramat Hasharon, Israel. 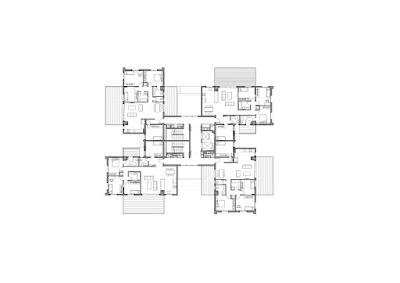 Situated on a large parcel of land (3500 sq. 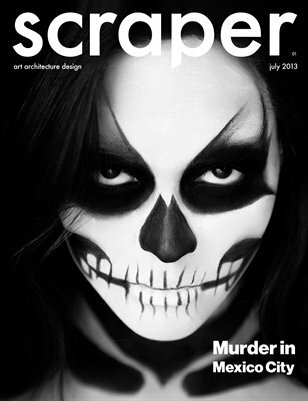 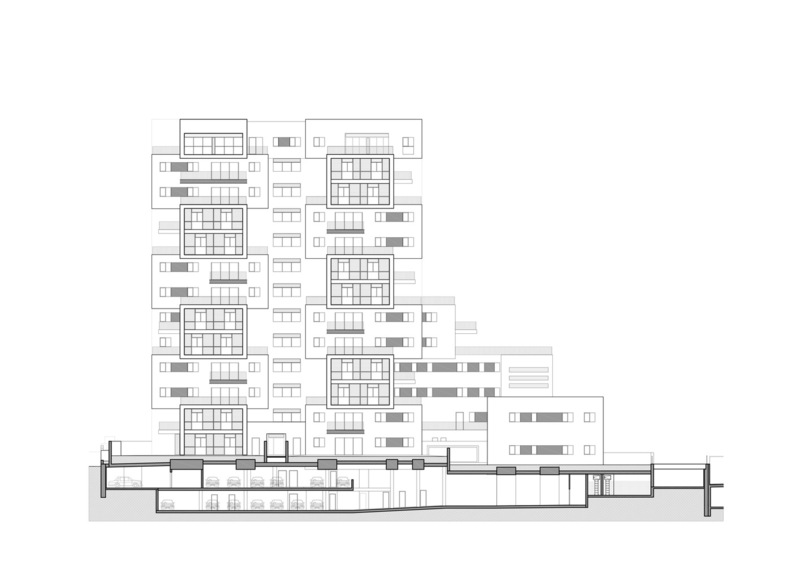 meters). 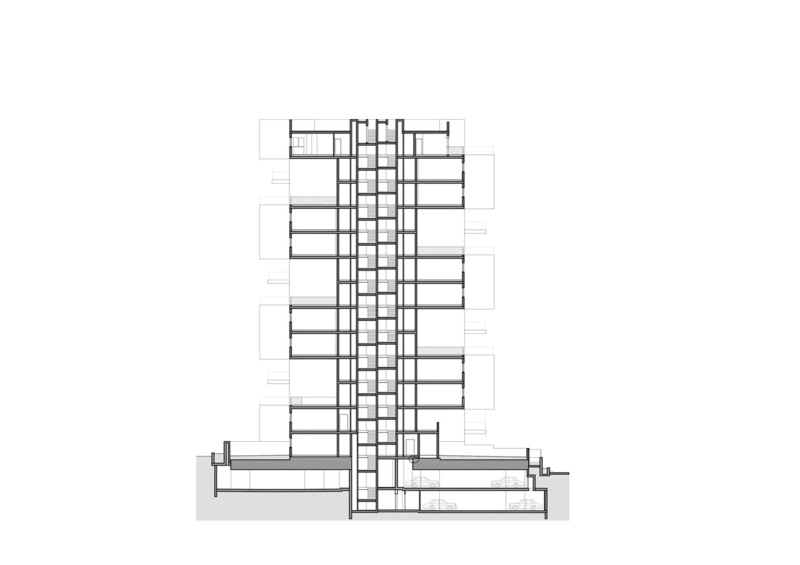 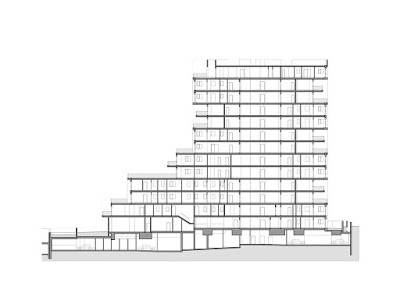 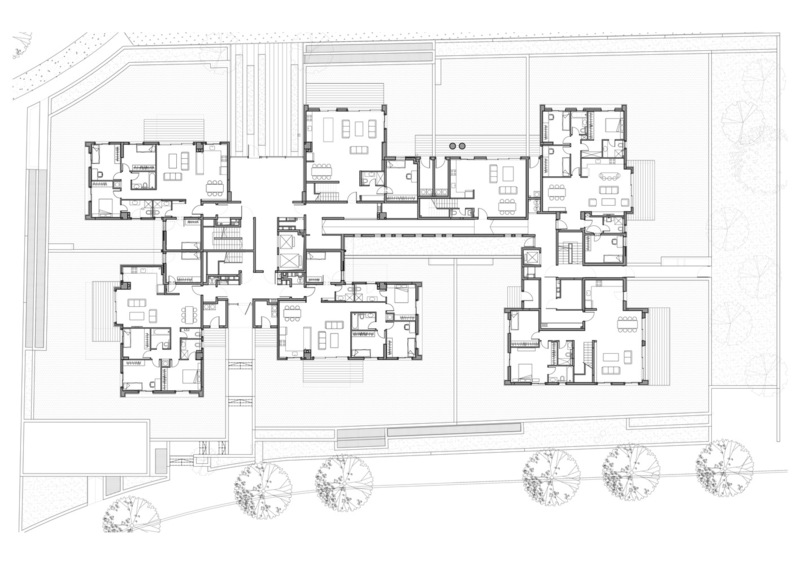 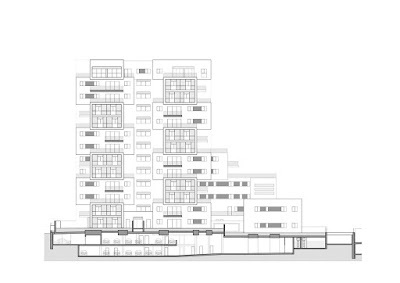 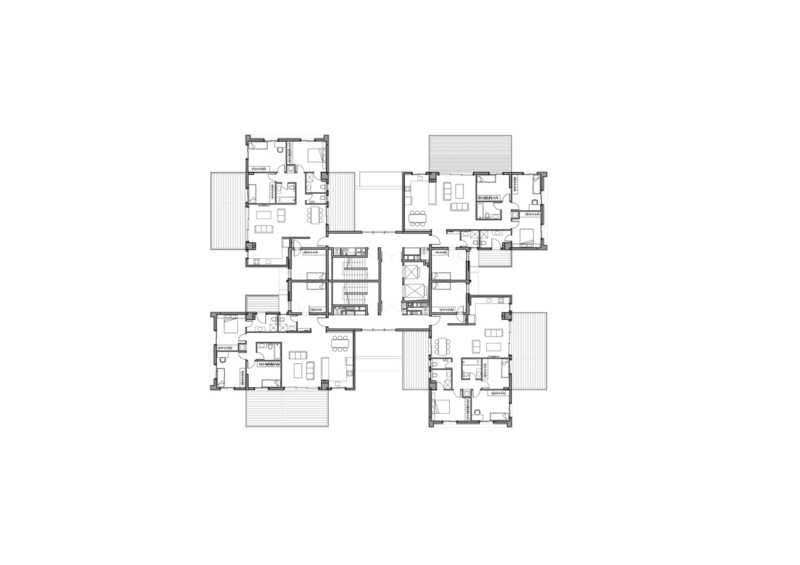 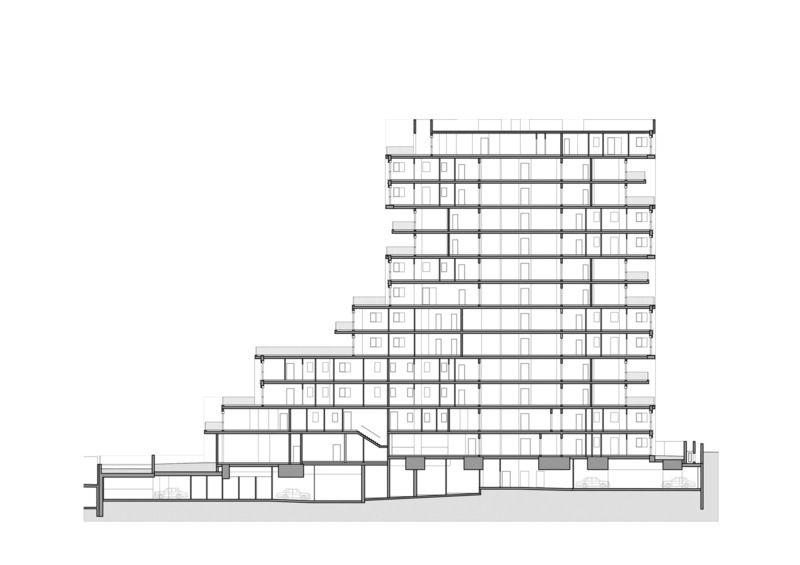 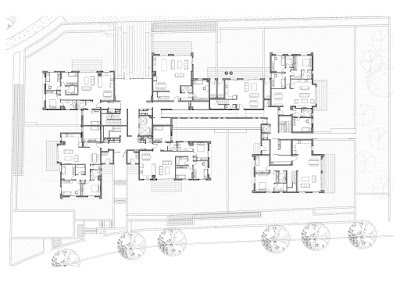 “22 Haganim st. is a unique landmark in the development of an architectural language we have been exploring and developing for the past several years – building ‘Villas in the Air’.” This new language marks a breakthrough of the traditional typology of a building with a ground floor, topped by story after story of identical floors, and a penthouse. 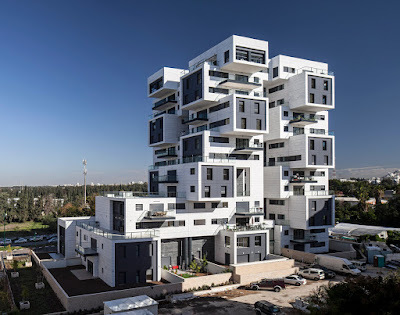 The Villas in the Air mark a departure from repetitive, typical floors, and replace them with a variety of types of floors on top of each other, creating large rooftop terraces along the entire height of the building.